Have you heard about the Biggest Baby Shower Event? Big City Moms are hosting an event in Dallas on April 6 @ 6:00pm-9:30pm. This event will be held at 6500 Cedar Springs Rd, Dallas, 75235. 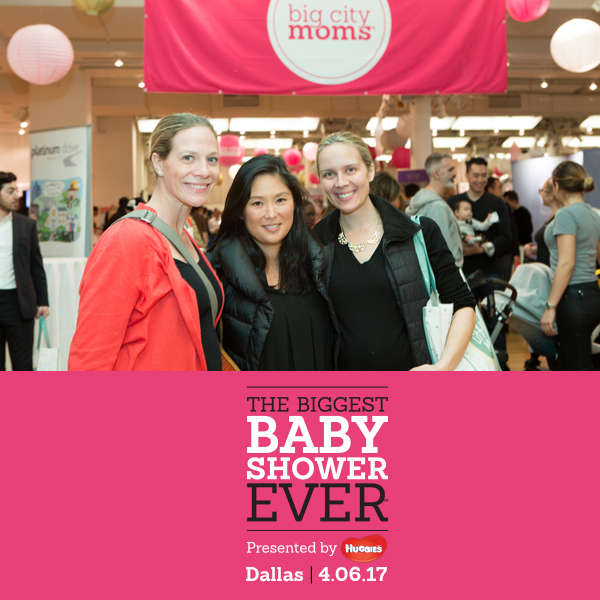 The Biggest Baby Shower ever has over 100 of the top companies in the baby and toddler industry. Brands include 4Moms, UPPAbaby, Britax, Gerber BabyNes, Ergobaby and Tula. And as always, we’ll have educational seminars, demonstrations, games, mocktails, treats and more! Come out alone, with a spouse, or your mommy friends. This will be a great time for you to enjoy a night looking at the many different vendors and see what you like. Use my code DFW20 to get $20.00 off your tickets. This is a great deal and I know you don't want to miss out. Have fun, I will be there and I hope I get to see you with your squad.